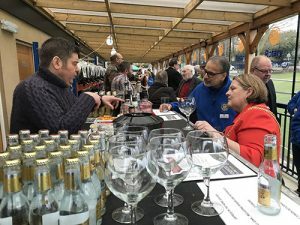 Leeds-based Morley Glass & Glazing is set to sponsor the 8th Annual North Leeds Charity Beer Festival, which features all things Yorkshire with 36 real ales, 8 gins and a prosecco bar for the first time. The event is organised by the Rotary Club of Roundhay and takes place on 5-6 April 2019 at North Leeds Cricket Club. Local Leeds bands will be providing musical entertainment at the festival over both days. Almost £40,000 has been raised by the seven previous beer festivals which has helped the Rotary Club of Roundhay support their charity work in the local community and further afield. As headline sponsor, Morley Glass & Glazing enjoys the chance to share in and engage with a great community event whilst helping good causes at the same time.